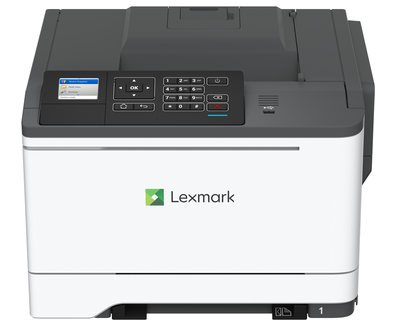 The up-to-35 -ppm* Lexmark C2535dw helps you control the cost of color output with high-yield replacement toner and tools that minimize toner consumption. A steel frame, long-life imaging system, and robust paper feeding system that reliably handles diverse media types and sizes all support lasting performance in any environment. With optional tray for up to 1451 total pages of input, and recommended monthly page volume up to 8500 pages, you’ll spend less time doing service and more time printing. Vinyl Labels, Paper Labels, Card Stock, Plain Paper, Envelopes, Refer to the Card Stock & Label Guide.